ISLAMABAD: For a democratic country, Pakistan ranks worryingly high when it comes to the number of attacks on journalists. Even though it is much better off than countries such as Iraq, Syria or Somalia that are torn apart by civil war and internal strife, Pakistan’s numbers of violence against journalists are comparable to these countries, Bob Dietz, the Asia Coordinator of the Committee to Protect Journalists (CPJ) told a sympathetic audience of journalists and media practitioners on Tuesday. He was addressing the second international conference on Combating Impunity and Securing Safety of Media Workers and Journalists in Pakistan. Mr Dietz deplored that the authorities in Pakistan had failed to move forward in this regard and had not been able to provide an environment conducive for journalists so far. “Why can’t we make the situation better,” he asked, earnestly, adding that far too many journalists were getting caught in the crossfire between militants and the authorities. 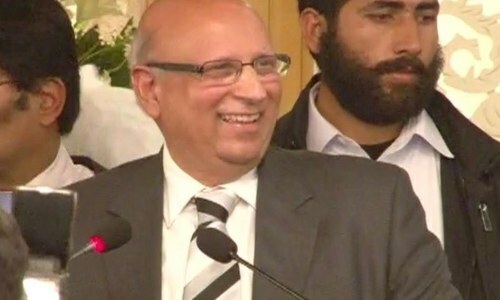 However, he recognised that the current regime had recognised the issue, referring to Prime Minister Nawaz Sharif’s March 2014 meeting with representatives of the CPJ. 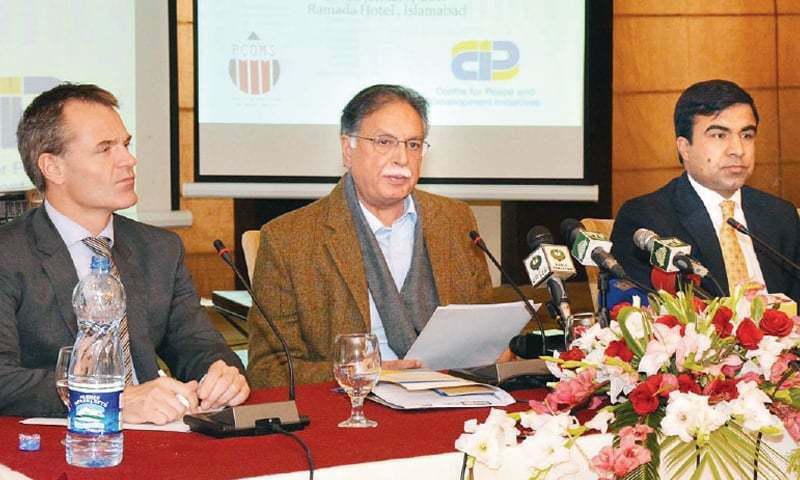 The government’s resolve was also evidenced by the presence of Information Minister Pervaiz Rasheed at Tuesday’s conference. “We first met General Musharraf – who was the president at that time – and expressed concerns over violence against media. 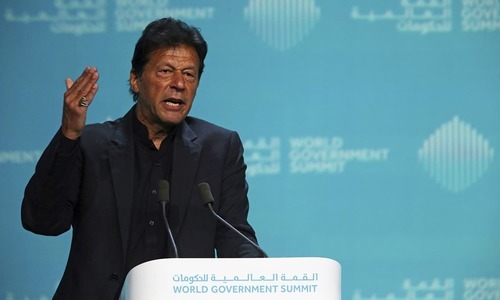 But he totally denied it and his minister termed the incidents ‘accidents’,” he said, adding that a similar response was seen when the matter was raised with President Asif Ali Zardari and the ministers of that era. “Though there were some assurances made by the prime minister and his team, but I see that journalists are still not satisfied with the government’s measures,” Mr Dietz added. Earlier, addressing the inaugural session, the information minister said that the whole nation was united in the fight against terrorism and the government was trying its best to find solutions. “I would like mediapersons to come forward and help identify the culprits,” Mr Rasheed said. His answer to almost all queries and criticism was swift and crisp. “We would like to hear from the (journalist) community what the solutions should be,” he said. When veteran journalist and former Pakistan Federal Union of Journalists president Mazhar Abbas questioned the minister about low salaries and job insecurity in media organisations, the minister invited him to a high-level meeting to guide the government on what it could do. He also announced that a bill aimed at improving access to information under right to information principles would be presented in the next cabinet meeting. Senior journalist Mohammad Ziauddin said the Afghan war actually came to Pakistan after 2005, but the media was not ready to cover it. “At the same time, militants wanted to show their presence and pushed for space in the electronic and print media,” he said. Senior anchorperson Hamid Mir quoted several anecdotes from his career, from 2006 onwards and narrated his own ordeal before and being attacked by unidentified gunmen in Karachi last year. “A hit-list of journalists in Balochistan was floated by pro-establishment militants and this list was published in a report by the PFUJ, but even then, five of the people on the list ended up dead,” he said. He said that it was time the government passed a law for the protection of the media. “I do not say it will end the trouble, but it will be a first step towards a solution,” he added. Representatives from the Open Society Foundations (OSF), United Nations’ Educational, Scientific and Cultural Organisation (Unesco), as well as other countries from the region, such as Nepal, Afghanistan and Indonesia also participated in the subsequent panel discussion. Ujjwal Acharya, South Asia regional coordinator for the International Federation of Journalists (IFJ), said that in Nepal and Pakistan, a lot of people believed that the media was not credible. Talking about the importance of perceptions, he said that there was a need to build people’s trust in the mainstream press. OSF’s Maria Teresa shared her experiences of working on journalists’ safety in Colombia and Mexico. Here we considered as democracy? Pakistan IS in a low intensity civil war. Its between the Saudi inspired Pakistanis and the followers of the original Islam of the South Asia. So you think Pakistan is a democracy !! Oh look, the world has started to refer to us as a Democracy! Pakistan is a Nuclear power and that nuclear power will eradicate all problems of their people. Electricity, Gas, Petrol, Diesel, terrorism, education, corruption. Enjoy being Nuclear power! Democracy? When did that happen? If anyone has a voice in Pakistan - it is the PRESS. And Pakistani press is doing fantastic job. Killing journalists are shameful act and it expose lawless Pakistan. Media should be free from any government interference and press freedom must be protected. Security to journalist must be provided. Democracy?.. really!!.. You are kidding me..